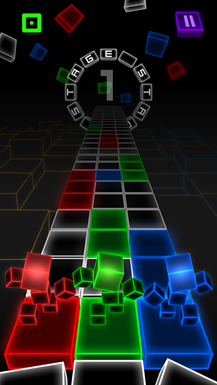 It seems like we've seen every possible iteration of the Guitar Hero style of musical game. But thanks to the creativity of developers, we're caught off guard on occasion. Case in point: R.G.B. 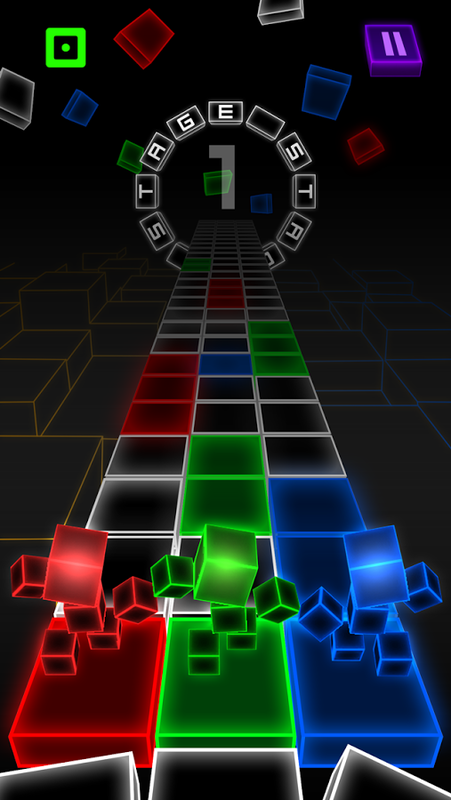 It's a pretty simple rhythm game with only three lanes, making it technically much easier than the games that it imitates. 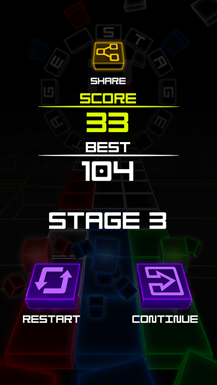 But a deceptively slow pace and an addictive main mechanic mean it's more than the sum of its parts. In R.G.B. 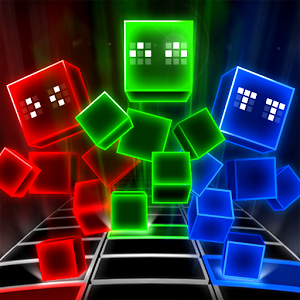 you control three little 3D robot guys, Red, Green, and Blue. 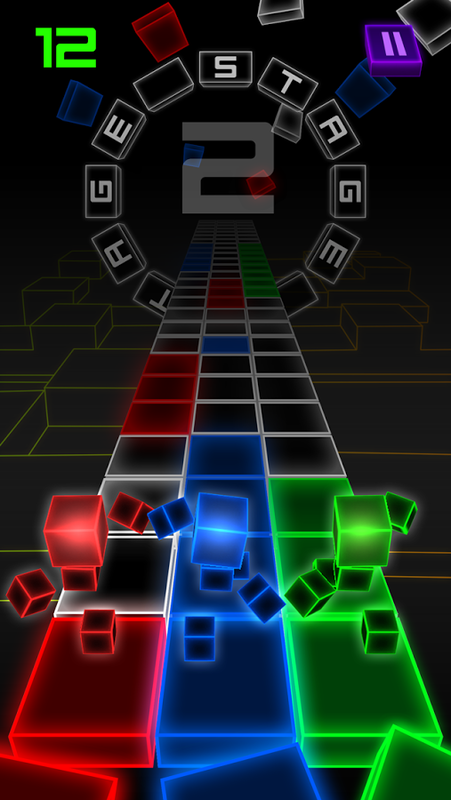 Each one can only go over their respective colored tiles, and you can swap the left and center or the right and center 'bots with a tap on either side of the screen. Easy, right? 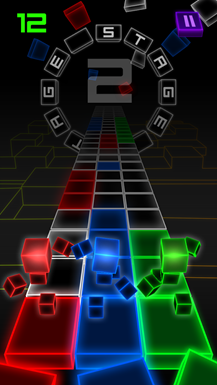 While the basics of the game are simple to understand, actually coordinating the movement of the robots over the quickly-shifting tiles soon becomes difficult, especially when the correct tiles appear on the opposite side of the ever-advancing lane. The thumpy electronic music in R.G.B. is surprisingly good - and that's coming from a Haggard & Jones guy. On multiple occasions I found myself tapping my feet... then watching my robots die again as I missed a step. R.G.B. is free and ad-supported, but there's only one in-app purchase, a single $1 unlock that lets you "cheat" and continue runs after failing to rack up a higher score. 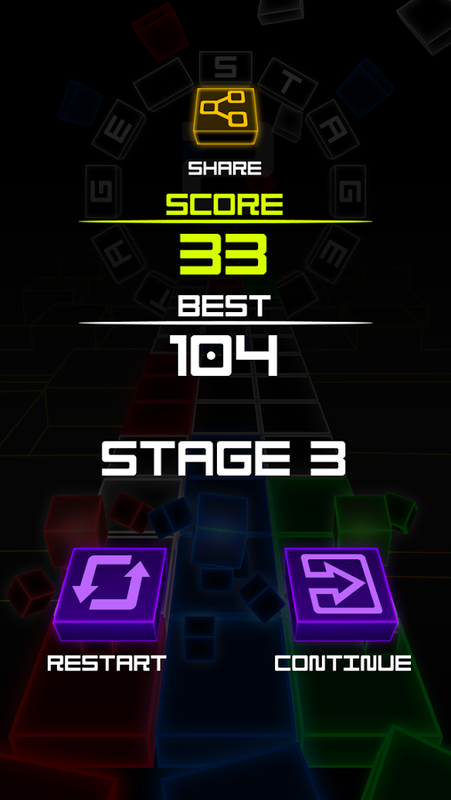 Syncing and leaderboards are supported via Google Play Games.